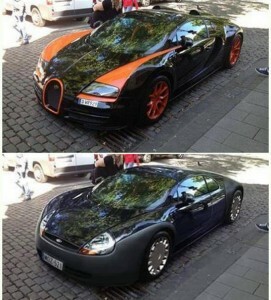 Ford Ka and the Bugatti Veyron in the specifications and appearance are two completely different cars. This time, both cars were merged into one! This picture can be found on many different automotive forums. 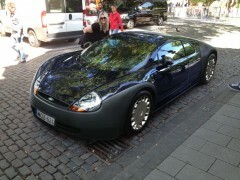 Processing of photos came from the Hungarian Jakus Design studio, where Ford Ka reminiscent of the Bugatti Veron. 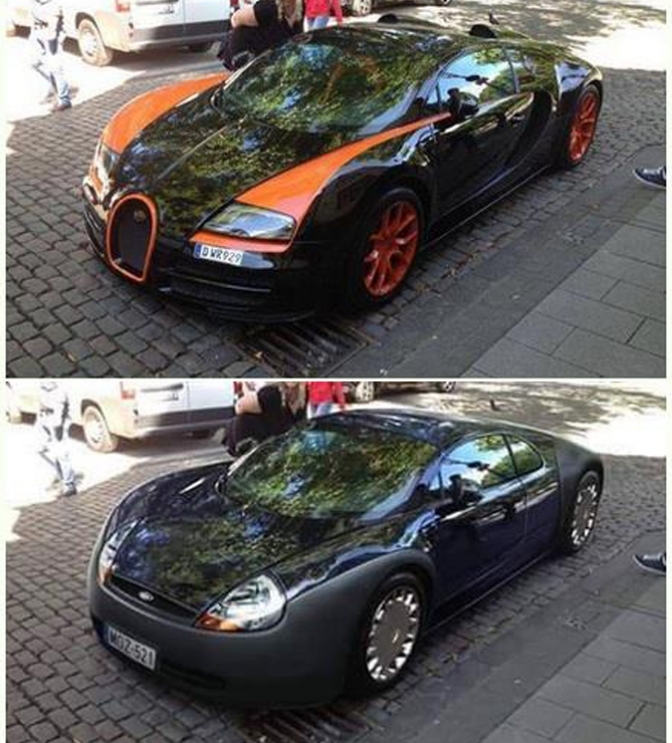 On the original photo is only Bugatti. Image processing result is great and looks like a real and complete the project. Now you see a comparison of original Veyron and Ford Kayron below of article.